OSHA training provides a practical way to promote health and safety in the workplace. It achieves this purpose by educating workers about their rights and workplace hazards. The program specifies a wide array of standards in relation to specific hazards. Training availability has grown considerably over the years thanks to government’s commitment. The implementation of the train-the-trainer format and other initiatives plays an important role in this regard. Government works closely with commercial enterprises to continue improving the program. It regularly introduces a wide variety of changes aimed at boosting effectiveness. – Training conducted outside OSHA’s jurisdiction is limited; this is aimed at preserving program intended goals. Why enroll in the OSHA-10 safety course? The OSHA 10-hour course educates workers on various safety aspects. It enables you to identify, prevent, and rectify workplace hazards. The program offers wide-ranging benefits. By participating in the OSHA 10-hour training, you learn about mechanical, chemical, and electrical dangers. The majority of workers are unfamiliar with some of the safety risks taught in the course. This shorter version is lectured by seasoned professionals with years of experience. They provide tailored training to suit industry-specific safety requirements. Workers involved in the electrical field receive training that focuses on topics, such as arc flash prevention. The coursework allows workers to practice safety principles while empowering them to become proactive in the workplace. This ensures that employers are held accountable for delegating hazardous tasks or failing to uphold standard safety practices. The OSHA-10 course can be completed through e-learning or on-site. OSHA 10 encompasses elective and mandatory topics based on industry-specific requirements. The mandatory sections are completed in the specified amount of time. Electives allow trainers to tailor the course according to the needs of participants, such as locality and industry. The outreach program is conducted by authorized trainers with the relevant expertise. The OSHA 30-hour course provides two tailored training options from which to choose. It is designed to bolster in-house safety procedures by providing well-formulated coursework. In turn, this allows both employers and employees to achieve and maintain higher job site safety standards. The 30-hour construction training program is aimed at educating safety supervisors and field managers on industry standards. It provides a detailed training covering compliance requirements that are relevant to the construction sector. Meanwhile, the OSHA 30-hour general industry training program focuses on common job site safety topics. It is designed to provide a basic overview for new workers or to act as a refresher course. The program reinforces a culture of safety in various sectors. The on-site training allows participants to gain knowledge about different types of risks through hands-on activities. In turn, companies experience fewer workplace accidents. Safer work environments help companies save money in compensation and other costs. The benefits also extend beyond financial considerations. 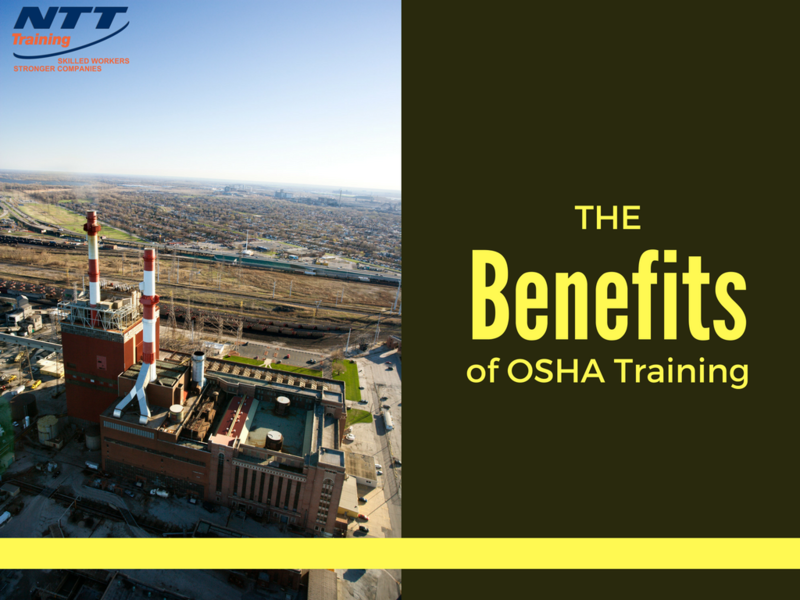 NTT Training offers a 10-hour and 30-hour OSHA training seminar designed to help you identify OSHA rules, avoid citations, and create a safer workplace.